Originally published in the Kent Reporter. 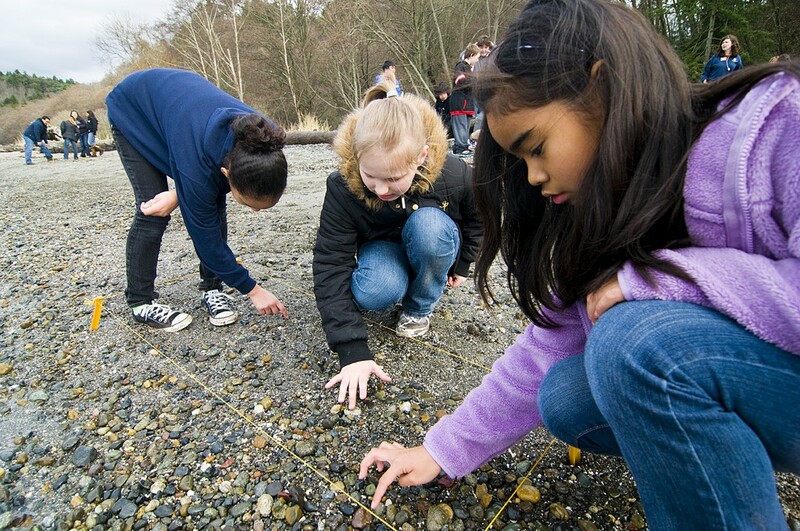 The Woodland Park Zoo just completed a five-month-long partnership with Kent Elementary School to provide students with hands-on science education, teaching students about conservation and local wildlife. The program – called Ready, Set, Discover – could be expanded to more schools through Access for All, a proposed ballot measure to increase funding for arts, science and heritage education for public school students, program officials said. If approved by the King County Council, voters would get a chance to decide on this August's ballot, program officials said. Through the Ready, Set, Discover program with Kent Elementary and 13 other elementary schools in the district (nearly 1,100 students total), zoo naturalists spent time with students during field trips to Woodland Park Zoo and outdoor exploration trips to local wetlands researching amphibians and their habitats. At the end of the program, students give a presentation on a solution for improving habitats for amphibians and are asked to explain how all of the program experiences contributed to their research. Program officials say it's a valuable learning experience for students and teaches kids important research, science and presentation skills beyond just wildlife conservation. ​You can read the full story in the Kent Reporter.